Atlanta, Georgia-based Delta Air Lines has placed an incremental order for 30 firm A321ceo aircraft. This order follows three previous Delta orders for the current engine option version of the largest Airbus A320 Family member. The airline took delivery of its first A321 in March of last year and has now ordered a total of 112 A321s, each powered by CFM56 engines from CFM International. 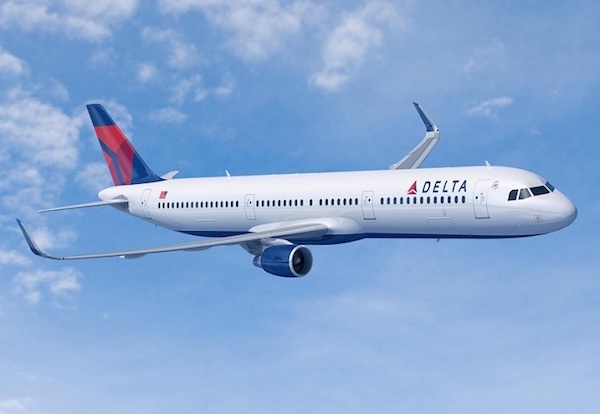 “The A321’s comfort, performance and economics make it a very compelling aircraft for Delta in our domestic route network,” said Gil West, Delta senior executive vice president. All of Delta’s A321s will feature fuel-saving Sharklets – lightweight composite wingtip devices that offer up to four percent fuel-burn savings. This environmental benefit gives airlines the option of extending their range up to 100 nautical miles/185 kilometres or increasing payload capacity by some 1,000 pounds/450 kilograms. Many of Delta’s A321s are being delivered from the Airbus US manufacturing facility in Mobile, Alabama. The airline received its first US-manufactured A321 last year. “Delta’s vote of confidence in the A321ceo – which takes the airline now to more than 100 of the type on order – demonstrates the passenger, operator and investor appeal of this aircraft,” said John Leahy, chief operating officer – customers for Airbus Commercial Aircraft. By the end of 2017, the Airbus facility in Mobile is expected to produce four aircraft per month, most going to Airbus’ US customers.